We love our teachers! 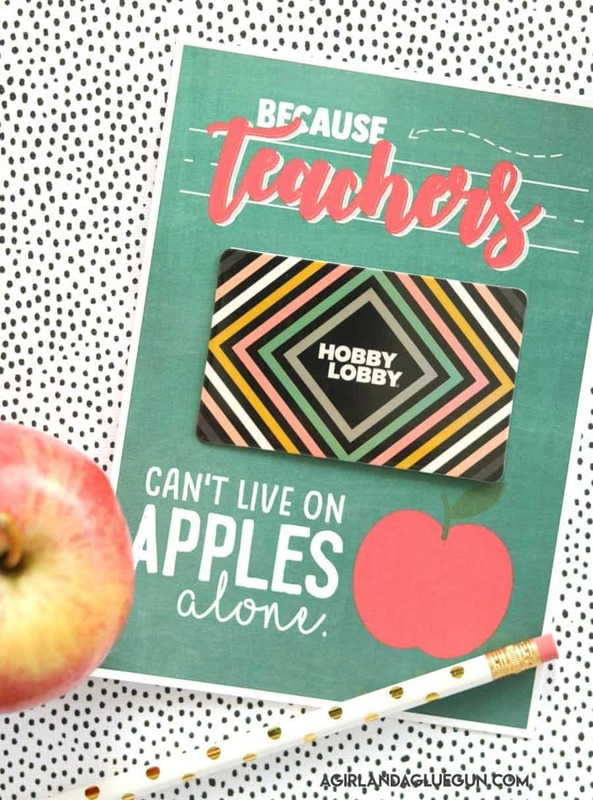 Time to show them some appreciation with this fun teacher gift card printable! I never know what to get each teacher year after year so I feel like a good gift card is always a safe bet! There is two different options white and green chalkboard! (created on picmonkey of course!) I printed the full sheet (with 2 per sheet) at size 8×10 and if you print them separately I marked it down to a 5×7 size. Used my awesome Fiskars paper trimmer to trim them down! Then you can just tape on a gift card! 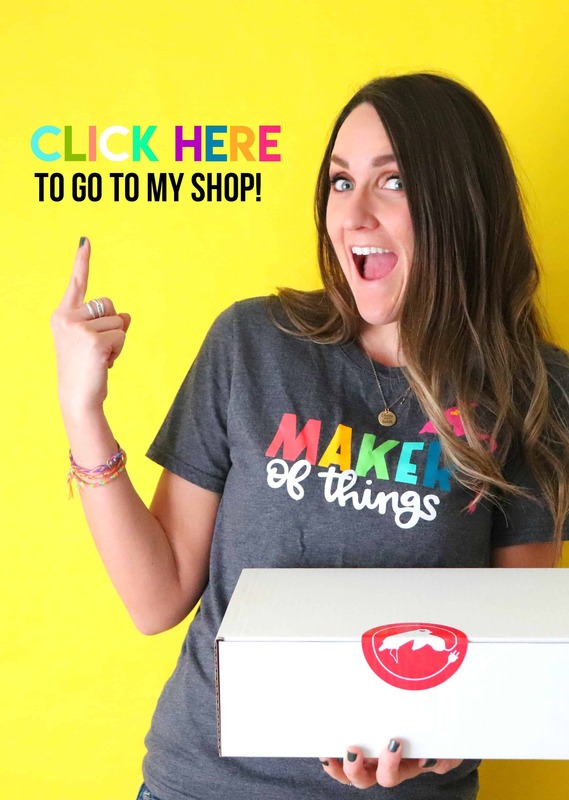 Easy and cute gift idea! You, of course, could get festive and pair it with some apple flavored lotion or candle too! It would actually look cute on this fun apple gift basket idea from My sister’s suitcase! 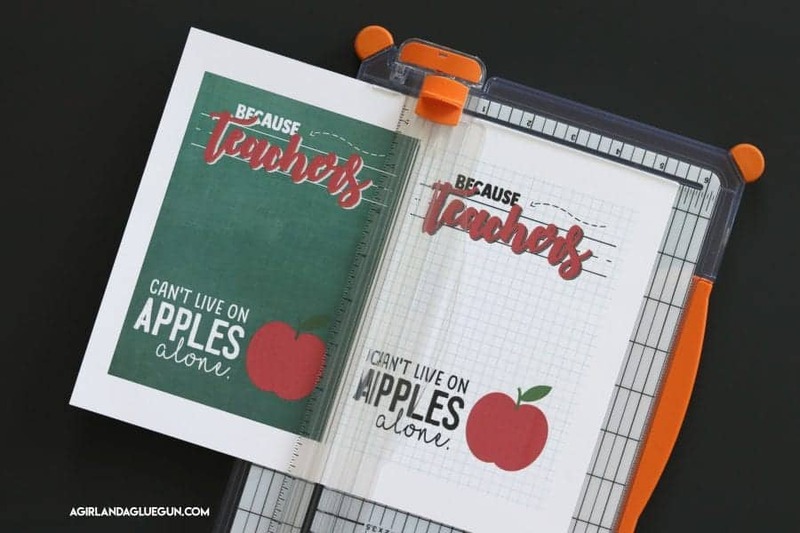 and this teacher gift printable has been super popular on pinterest! 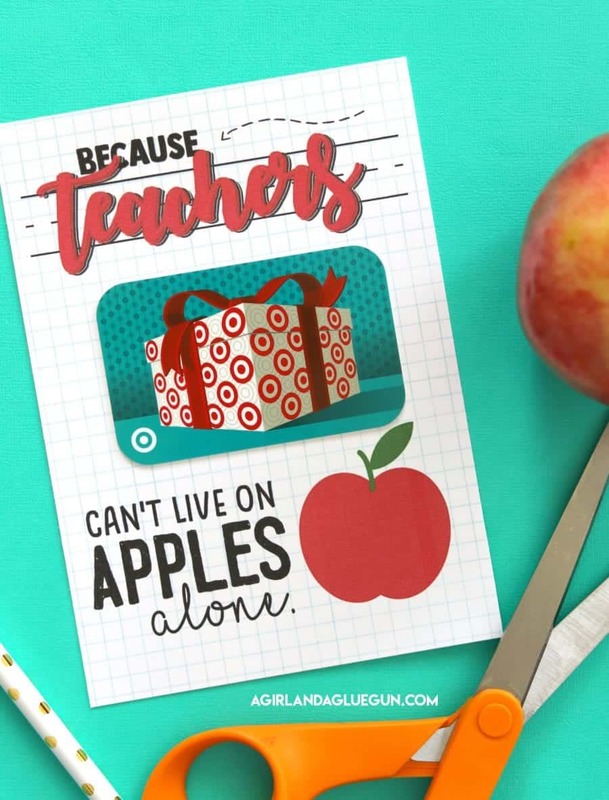 I actually have a lot of teacher gift idea posts…what can I say? I’m so incredibly grateful for all teachers do! 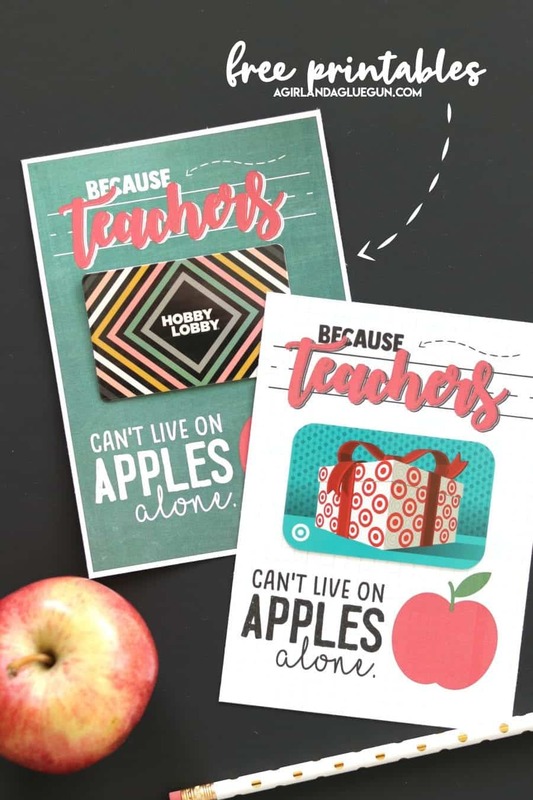 You go can go here to see all my teacher gift ideas!